Man City’s forward, Leroy Sane dropped from Germany’s World Cup squad – Royal Times of Nigeria. 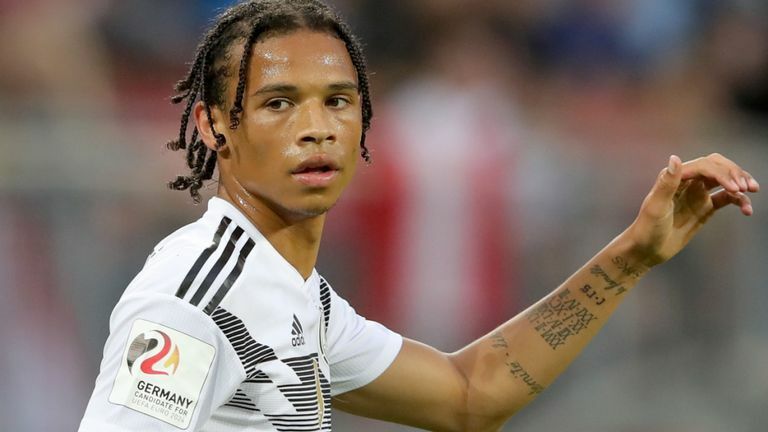 Manchester City winger Leroy Sane has been surprisingly dropped from Germany’s final 23-man World Cup squad, according to SkySports. Sane was a key member of a City side who won the Premier League title with a record 100 points and was named the PFA Young Player of the Year. But Joachim Low left out the 22-year-old when he named his final 23-man squad for Russia 2018 on Monday morning. Sane, who scored 10 goals and provided 15 assists in 28 games for City during the season, was one of four players who failed to make the final cut, along with Bernd Leno, Jonathan Tah and Nils Petersen. There were places for Sane’s City team-mate Ilkay Gundogan, Arsenal’s Mesut Ozil and Chelsea’s Antonio Rudiger. And Bayern Munich goalkeeper Manuel Neuer has been given the number one jersey, despite not having played since September due to injury. Defending champions Germany will begin their campaign against Mexico on June 17 before facing Sweden (June 23) and South Korea (June 27).